As we get into the season where tire changes are required, it’s important to know the very distinct differences between an all-season tire and a summer tire. Depending on your driving style and also the type of vehicle you drive, one of these may be far superior to the other. It goes without saying that we strongly encourage the use of winter tires in the colder months, but once temperatures rise over 7 degrees Celsius, winter tires begin to wear much faster and its’ time to change over to the rubber better suited for warmer weather. All-season tires are what most mainstream cars, crossovers and light trucks come equipped with. These are great for certain climates where snow and ice aren’t an issue, and perform adequately in the dry, wet, and through the odd flake of snow. The tread depths on these tires are moderate and the compounds are specifically designed to last longer than that of summer tires. Features that are emphasized on the all-season tire include on-road ride comfort, sharp handling, and quietness for the vast majority of conditions and drivers. Go-to premium tires include the Continental ExtremeContact DWS06, in which the three letters stand for “Dry, Wet, Snow”. This tire is supposed to be one of the best all-season examples available, with incredible wet weather performance. There is technology in the rubber that minimizes hydroplaning and maximizes traction when there is standing water on the roads. The softer sidewalls ensure there is excellent ride comfort, and dry cornering is up there too. The DWS isn’t the most inexpensive tire found on the market, but they’re well suited to luxury vehicles and more specifically the lifestyles of those living in rainier parts of the country. Alternately, a value-oriented all-season tire is the Sailun Inspire, available now at most tire retailers. This tire, subjectively, offers at least 90% the performance of the Continental ExtremeContact DWS at 60% of the price. It offers excellent dry weather grip, adequate traction in all conditions, and is very quiet on the road. For the vast majority of Canadians, this is a great set of three-season rubber. It also comes with a competitive 5 year or 120,000km warranty which rivals the best in the market. We plan to put this tire to the test over the next season and see whether or not it lives up to Sailun’s claims. Those who operate high performance vehicles may opt for a summer-only tire, which may have their limitations for everyday use, but that tradeoff is made in favour of high-speed and track day performance. Summer tires have higher speed ratings than all-season rubber, including better agility and sharper cornering ability. They also help stop the vehicle faster, and allow for more induced oversteer and understeer when commanded. Summer tires have less grooving, which means wet weather performance will be inferior to an all-season. If it needs to be said, operating a summer tire in snow or ice conditions is extremely dangerous and should not be done. Examples of great summer tires include the Michelin Pilot PS4S, a brand new tire this year that replaces the outgoing Pilot Super Sport – itself a gold standard tire in the performance world. 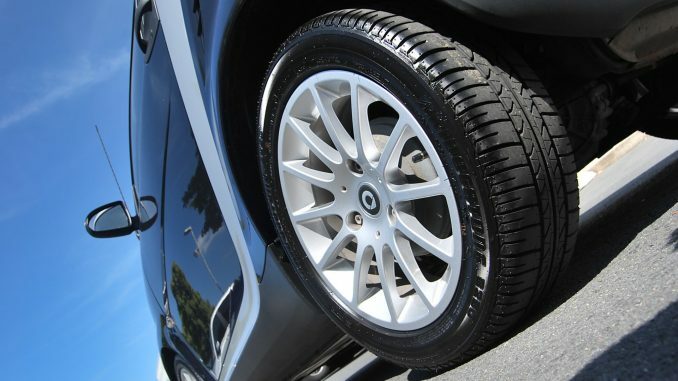 Generally speaking, summer-only tires are considerably more expensive than all-seasons, because they’re purpose built and offer a considerable amount to the niche market they target. Other strong examples are the Bridgestone Potenza RE-11 and the Hankook RS4. Here in Canada, when we take off our winter tires, we need a good three-season tire and every single buyer’s needs are different. We cannot stress enough the importance of shopping around and doing some reading before making a decision on which type of tire is right for you. When you’ve made your decision, remember to choose a reputed retailer and installer, as tire rotation and balancing is essential to optimizing your car’s safety and performance.